If you have just moved to Illinois and have a child with special needs, you need to take action now to ensure your child gets vital services. You also need to make sure that your child and your family are ready for the future. In Illinois, PUNS is no laughing matter. This acronym stands for Prioritization for Urgency of Need for Services. The state places people with developmental disabilities on a priority list for services and supports, and you need to get on the list now. With limited state funds for helping people with special needs, your child can benefit from enrolling in the PUNS database as soon as possible. To begin the enrollment process, you should contact your Independent Service Coordination (ISC) Agency. Find your ISC here. When you call, tell them you have a child with developmental disabilities and that you need to register them in the PUNS. The ISC Agent will help figure out which services your child needs, explain the services, and make a decision about how urgently your child needs the services. The state of Illinois has many other services available for people with special needs. The services available to you will depend on your circumstances. When you move from out of state, you should always make sure that your estate planning documents comply with your new state’s laws (especially special needs trusts, which must comply with Illinois Medicaid). In Illinois, you can sign a power of attorney for health care or a power of attorney for property. Parents who have not become guardians of their children with special needs should have Illinois powers of attorney to protect their children. Further, people over age 18 with special needs may have their own preferences about health care and property, and they and their families should speak to a lawyer about writing down those preferences. 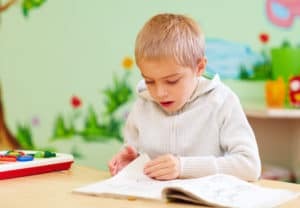 If you are the guardian of a child or adult with special needs and you move to Illinois, it is time to figure out the Illinois guardianship process. The guardianship papers from the other state may not be legally enforceable here. You need to immediately speak to a lawyer familiar with Illinois guardianship law to evaluate your options.